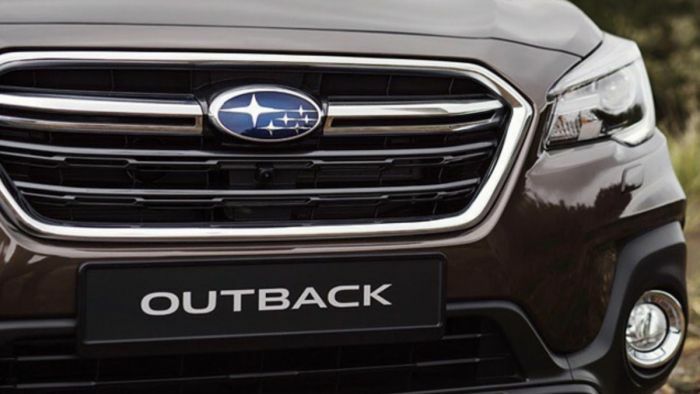 If you are thinking of purchasing a used Subaru Outback to save money, you might want to reconsider. Subaru of America, Inc. announced the 2019 Outback won Kelley Blue Book’s 2019 Best Resale Value in its respective category. The 2019 Outback SUV has secured multiple segment wins over the Kelley Blue Book Best Resale Value Awards’ 17-year history, and the Outback SUV/Crossover has now earned its fourth win in the Best Mid-Size SUV/Crossover (2-Row) segment. What does it mean for urban consumers? The annual Kelley Blue Book 2019 Best Resale Value Awards honor the vehicles that are expected to retain the highest percentage of their original price after a conventional three-year period and also after five years of ownership. It’s better for urban SUV and crossover buyers to purchase a new 2019 Subaru Outback than it is to buy used. You won’t get enough of a discount if you do buy a previously owned model. So if you are considering buying a Subaru Outback, it may be better to buy a new 2019 model. If you’ve tried to purchase a previously owned Outback, you know this is true. The value of a used Outback is just a few thousand dollars less than a new one. This is especially true if you live in the Northeast, Rocky Mountain or Pacific Northwest where the brand is popular. According to KBB, the 2019 Subaru Outback resale value at 36 months is 59.0 percent and at 60 months: 45.2 percent. The 2019 Dodge Durango is the second place finisher with a 53.8 percent resale value at 36 months and 41.0 percent at 60 months. The 2019 Jeep Grand Cherokee comes in third with a resale value at 36 months: 51.8 percent and at 60 months: 41.0 percent. If you’re looking at purchasing a new 2019 Subaru Outback, Subaru of America is offering some good purchase and lease deals right now. They are offering zero percent financing for 63 months with a monthly payment of $15.87 per $1000 borrowed on all Outbacks. There’s no down payment required, and the offer is good now through January 31, 2019. If you are looking at leasing, you can get a 36-month lease for $269/Month on a new 2019 Outback 2.5i with $1,983 due at lease signing and $0 security deposit. The offer is also good through January 31, 2019. These latest KBB accolades for Subaru tells consumers, that many Subaru vehicles retain their value better than other automakers. The 2019 Subaru Crosstrek and Legacy also won Kelley Blue Book’s 2019 Best Resale Value in their respective categories and Forester came in 3rd place with a resale value at 36 months: 59.4 percent, and at 60 months: 42.4 percent. Subaru’s overall vehicle lineup will incur less depreciation than most other mainstream brand's cars. Subaru’s stable of all-wheel-drive vehicles has been popular with loyal owners for decades. Now they are gaining popularity with a new-generation of urban-adventurers who use the vehicles for weekend excursions to the mountains for hiking, biking, fishing, camping, and skiing. The 2019 Subaru Outback’s, go-anywhere attitude, versatility, and utility is what's keeping the vehicle’s value particularly high when it comes time to sell. Here I thought the article would point out the head gasket issues of prior generations of Outbacks that Subaru never owned up to. If you aren't careful your used Subaru could cost you thousands in repairs soon after you buy it. Opinion and experience of others are not entitled to fraud. Go research what’s up with the 2000’s Subaru and you will find the truth. If your Subaru VIM is an American made, you will be surprised. Conversely the best AWD I still own is a true American made Jeep in the 90’s. Write back the next time you had to replace the headlamp or when your new Subaru stalled on road with faulty fuel gauge; and among recalls and little things you had to go back and forth to your dealer service with. Just the stupid little things don’t add up to any justifiable resell value. They don’t make cars like it used to. You had a 1994 Subaru. You think that Subaru had no problems between 1994 and 2019 because your car from 25 years ago was so good to you? I had a 2005 Outback, and it was not as dependable as everyone wants to believe. For cars that have dozens of recalls and more on the pipeline, especially Japanese cars manufactured in the US. How does Subaru keep getting top reselling value? Did I mention the stupid oil consumption defects all over and the impossible headlamp replacement? People want to take my 2013 Subaru Outback, come on!